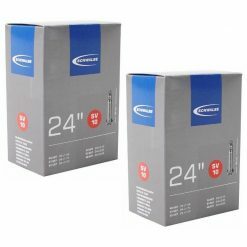 Latest Schwalbe inner tubes – Official Australian online retailer. 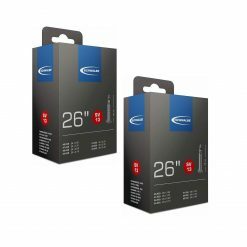 Schwalbe SV21 650B Inner Tubes are designed and manufactured to retain air pressure considerably longer than their competitors. 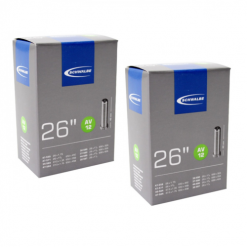 Not only is each individual tube inflated and inserted into a mould to ensure that there is even wall thickness and excellent air retention, they are also stored under pressure for 24hrs to test air retention. 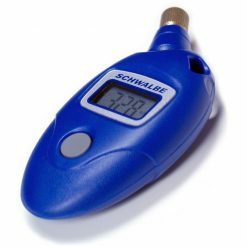 Airtightness: Schwalbe tubes retain air pressure considerably longer. The quality and the material purity of the rubber mixture directly effects the quality of the tube. 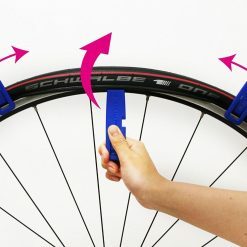 Each Schwalbe tube is individually inflated and inserted into a mold. 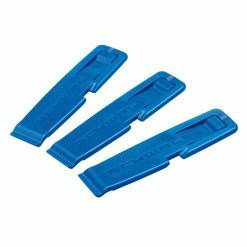 This ensures the even wall thickness and excellent air retention. 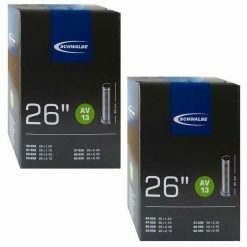 Reliability: Consistent quality control brings with it the security of use: Each tube is inflated at the factory and stored under pressure for 24 hours in order to test the air retention. 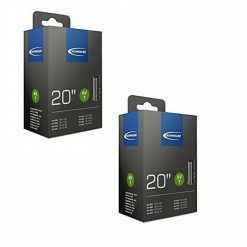 Group Tube System: The high elasticity and quality material used in our tubes allows a great many tyre sizes to be covered. 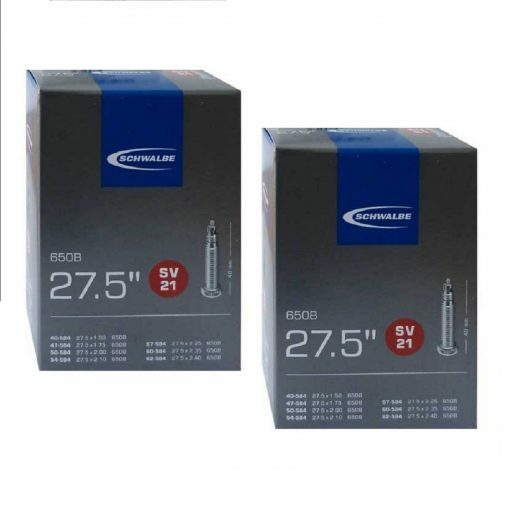 Only an extremely high-quality and reliable tube is up to this requirement. 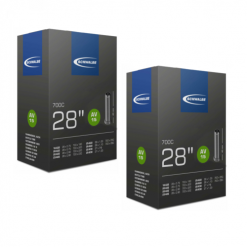 Buy Schwalbe SV21 650B Inner Tubes – 27.5 x 1.5/2.4″ (40/62-584), Presta Valve (2 Pack) now!